Buckle up. The next 48 hours should be fun, hockey fans – for a number of different reasons. To start with, the NHL Draft kicks off tonight, where the Kings currently hold pick No. 20. What they might do with it has been covered extensively on this site over the past two weeks. On the trade front, several scenarios were examined, in detail, during our recent look at the Kings 2018-19 salary cap situation. 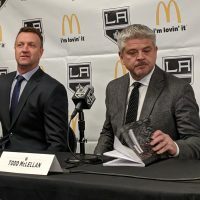 GM Rob Blake has been placed in one of those between-a-rock-and-a-hard-place decisions when it comes to adding a top-6 winger before July 10th. Should he sign one of the unrestricted free agents, which won’t cost him much money, but may be more of a two-year solution? Or, should he instead take a big swing via a trade, which will most likely cost him at least one player from his current roster? 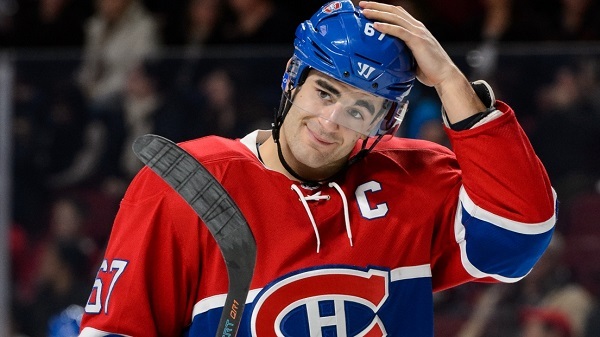 One specific name to gain some traction in the past 48 hours is Max Pacioretty of the Montreal Canadiens. 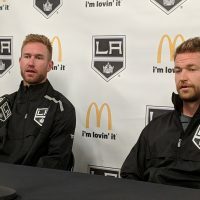 – To fill the LW1 slot the Kings are exploring all options. They recently met with 35-year-old free agent Ilya Kovalchuk. Is he a possible candidate? Sure. For starters, management has scouted him heavily while in Russia the past few years. They know what they’re getting and one thing hasn’t changed – the way he shoots the puck. He shoots from everywhere and has a great one-timer. Additionally, Kovalchuk has something to prove and he’s in great shape. Putting age aside, he is believed to be looking for a three-year deal with an AAV of around $6M. As attractive as it might be to add offense without giving up a roster player or a first round pick in the process, that type of a contract for Kovalchuk will most likely put him down as option C, at best. On the flip side, if LA can negotiate a deal with him for more like two years at $5M per, it’s nearly a slam dunk. They’d be adding a serious offensive weapon without giving up assets in return. 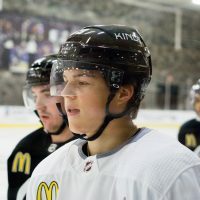 – The Kings have also been linked to players like Jeff Skinner via trade. Given his age, he would seem like the ideal candidate. Not so fast, though. He’s also a UFA next summer. The Kings don’t want a repeat of the Milan Lucic situation, where they traded away three assets for a one-year rental. – Max Pacioretty might be a tough swap because Montreal is believed to need a center back in the deal and the Kings don’t really have a center to trade. No, Vilardi is not available. Likely ditto on Kempe. 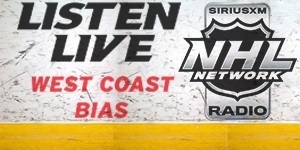 – Unrestricted free agent Rick Nash? Maybe; doubtful though. Phil Kessel? Maybe. However, Kessel still has four years remaining on a contract that carries a cap hit of at $6.8M (Toronto is already covering $1.2M of his $8M AAV). This would seem a bit out of the range of what the Kings are currently thinking. Further, as much as they’re looking for offense, they’re also looking to add speed and get younger. – A few days ago, we posted the latest edition of the MayorsManor Live podcast. 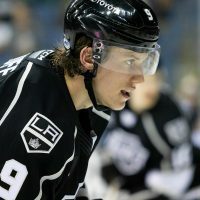 On that episode, we thoroughly discussed the Kings trade options; including the reasons why a package of Derek Forbort, Jonny Brodzinski, and a 2nd (or 3rd) round draft pick makes the most sense. For starters, Brodzinski has been somewhat squeezed out. He needs top-6 minutes, but the Kings don’t have an opening there, unless they move Tyler Toffoli up to the top line. Additionally, he is most likely losing his third-line spot to Vilardi. This makes him a prime trade candidate. Add in that they somewhat replaced Forbort with the signing of Brickley and the picture starts to become a bit clearer. Circling back on the Pacioretty idea, Mike Amadio likely would not make the cut in any deal offered up by Blake and the Kings. While he is a center, he’s a bottom-6 center in the NHL and Montreal is believe to fixated on getting a top-6 center in return. Thus, if there is a fit here, you’d probably be looking at somebody like Jaret Anderson-Dolan. Selected by the Kings in the second round of last year’s NHL Entry Draft, Anderson-Dolan has high-end speed and he plays a versatile two-way game. Still only 18 years old, he is coming off a strong campaign with the Spokane Chiefs, where he picked up 91 points (40G, 51A) in 70 games. He also had seven points in seven playoff games and then wrapped up his season with five games at AHL Ontario. 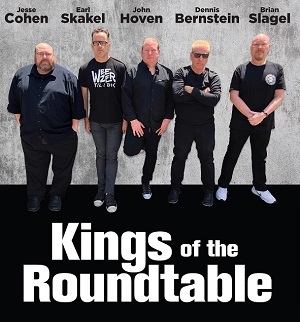 It’s worth adding that the Kings had some inside intel on Anderson-Dolan last summer, as just before the draft, they hired Spokane coach Don Nachbaur to be part of John Stevens staff in Los Angeles. For Yannetti’s thoughts on Anderson-Dolan at that time, see here. For a more recent full scouting report on the slick forward, see our Prospect Rankings article here. And for a full list of the Kings ‘untouchable’ prospects, see here. As for what else the Kings package would need to look like to land Pacioretty from Montreal, surely it would have to include additional assets. This year’s first round pick would most likely not be an option though. In return, the Kings would be receiving a five-time 30-goal scorer who is only 29 years old. Last season, he put up 17 goals in 64 games. The American-born left wing has one year remaining on his contract (which carries a very reasonable $4.5M cap hit). Could an extension be worked out ahead of time, to drive up the return Montreal could be seeking? Certainly.